If you would like an interview or need information for an article, contact our Practice Administrator, Michael Hendricks. These press releases, biographies, links, publications, and resources have been gathered from feature articles and other sources published by and about the Karen L. Smith, MD, PA Family Practice. They are intended to provide you with helpful information. Please call us to set up an appointment to discuss any questions you may have about these or any other topic. All downloads are Acrobat PDF files that you can easily print. For Dr. Karen L. Smith, the best part of practicing medicine is taking care of people. “We come to know people,” she said. “They see us as part of the community.” Smith, who practices in Raeford, was named 2017 national Family Physician of the Year by the American Academy of Family Physicians in September. 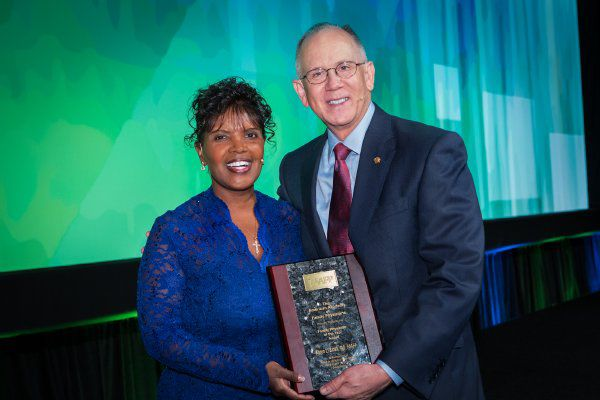 The award honors a family physician who “provides patients with compassionate, comprehensive care, and serves as a role model in his or her community and to other health professionals,” according to a statement released by the academy. 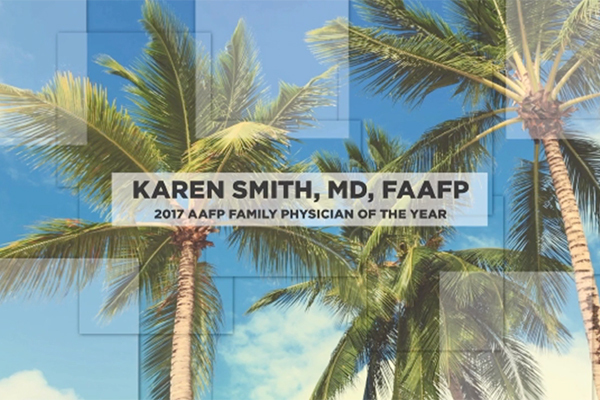 Karen Smith, M.D., of Raeford, N.C., has been named the AAFP 2017 Family Physician of the Year. The award recognizes a family physician who stands out among his or her colleagues for providing compassionate and comprehensive care, enhancing the quality of the community, and acting as a credible role model.